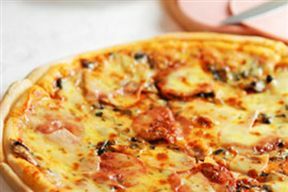 Rated best in Africa by ‘Going Nowhere Slowly’, Pickwick’s Oven offers sumptuous pizzas garnished with generous toppings and gourmet combinations. Alongside pizzas, Pickwick’s Oven enjoys hearty pastas, crunchy salads and delectable open sandwiches. Pop into Pickwick’s Oven and discover what all the shouting is about. Pickwick's Oven is 2.2km from the centre of Bathurst , the nearest airport 122.9km (East London Airport).